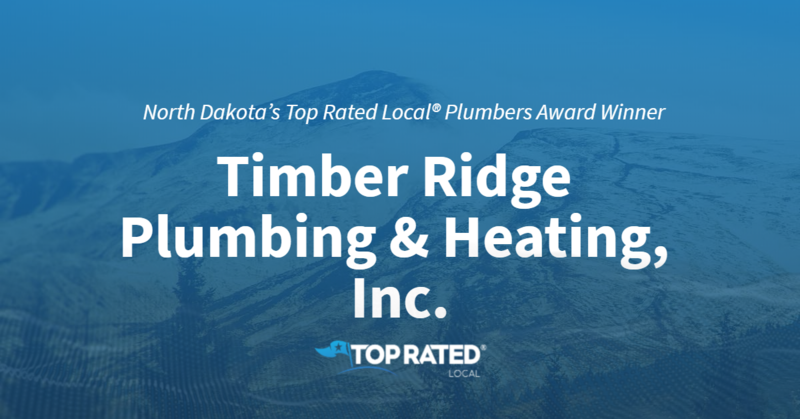 North Dakota’s Top Rated Local® Plumbers Award Winner: Timber Ridge Plumbing & Heating, Inc.
Top Rated Local® is pleased to announce that Timber Ridge Plumbing & Heating, Inc. is an award winner for plumbers in 2019. If you are looking for a plumber that will offer great service for a reasonable price, look no further than this award-winning company! Timber Ridge Plumbing & Heating, Inc. has received many overwhelmingly positive reviews across three different verified sites with an average rating of 4.83 stars, earning them an impressive Rating Score™ of 90.33 and a 2019 Top Rated Local award for ranking as one of the top 10 plumbers in North Dakota! “[We] had a small shower problem where we had no hot water. Todd and his guys came out promptly, fixed the issue quickly, and explained the issue to me. They were professional and friendly throughout the entire process. I’ve used them in the past and will continue to in the future, and [I will] recommend them to people I know. Thanks again for the hot water.” – C.G. It is because of excellent reviews like this that Timber Ridge Plumbing & Heating, Inc. is now able to call themselves a Top Rated Local award winner! 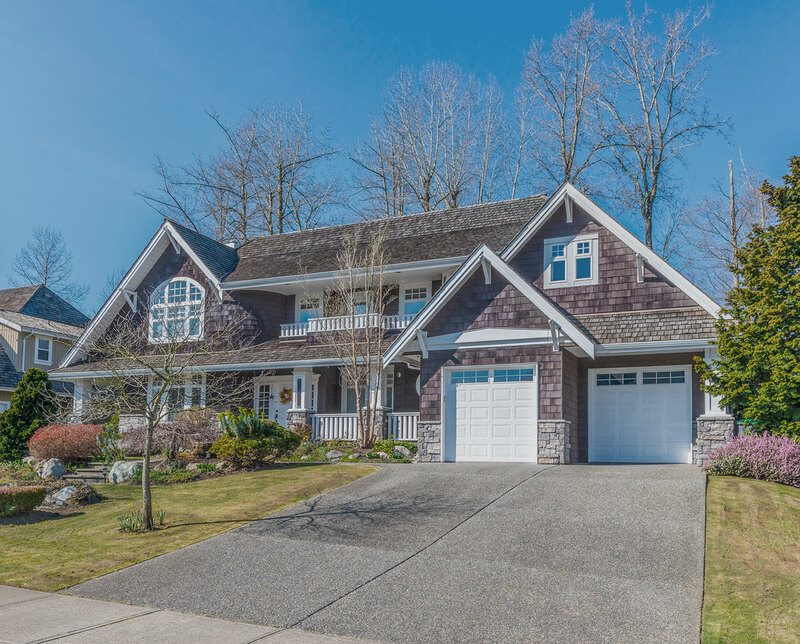 We were excited to learn all about how Timber Ridge Plumbing & Heating, Inc. has been able to build such an impressive reputation, so we sat down with the owner, Todd Backman. The first thing we wanted to know was what it is that makes Timber Ridge Plumbing & Heating, Inc. stand apart from their local competitors. We learned that they believe in doing quality work and in treating people fairly. They want to offer a good price for good work. Because of the quality of service they offer, their customers spread the word about their business, making word of mouth their most valuable source for new business. Congratulations to Timber Ridge Plumbing & Heating, Inc. for being a 2019 Top Rated Local award winner, and special thanks to Todd for taking the time to speak with us! 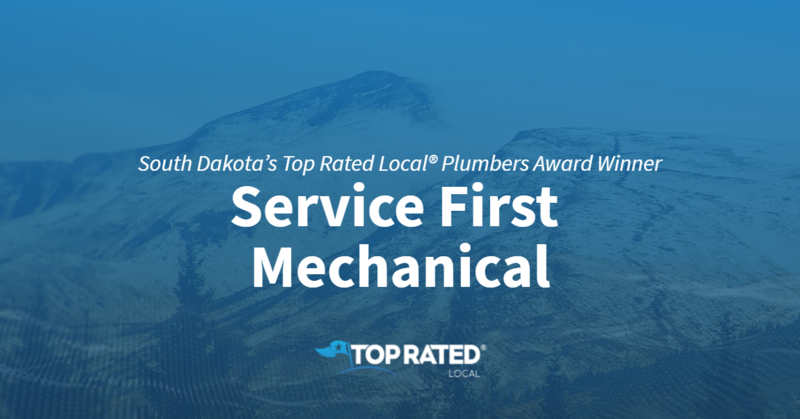 Top Rated Local® is pleased to announce that Service First Mechanical LLC is a 2019 award winner! “The response was timely, and they seemed to want to work around my schedule. The work quality was good, as he had to make adjustments with different fittings because the new heater connection was not exactly the same. I also thought the service fee and labor rate was fair and reasonable. I would certainly recommend Service First Mechanical for a plumbing job. He was courteous and seemed to care about our issues.” -Charles F.
Dave Gorden of Service First Mechanical took some time to speak with our team about his business’ outstanding online reputation. Congratulations to the team at Service First Mechanical for being a 2019 Top Rated Local award winner, and thank you so much, Dave, for taking the time to speak with us! Top Rated Local® is pleased to announce that Allied Plumbing and Heating is a 2019 award winner! “Great service! Scheduled me right in even though I live a ways from town. Highly recommend. Very knowledgeable, and timely! Thank you, will definitely call Allied Plumbing and Heating if another issue arises.” -Polly D.
Andy Bruce, partner at Allied Plumbing and Heating, took some time to chat with our team about his business’ online success. Congratulations to the team at Allied Plumbing and Heating for being a 2019 Top Rated Local award winner, and thank you so much, Andy, for taking the time to speak with us! 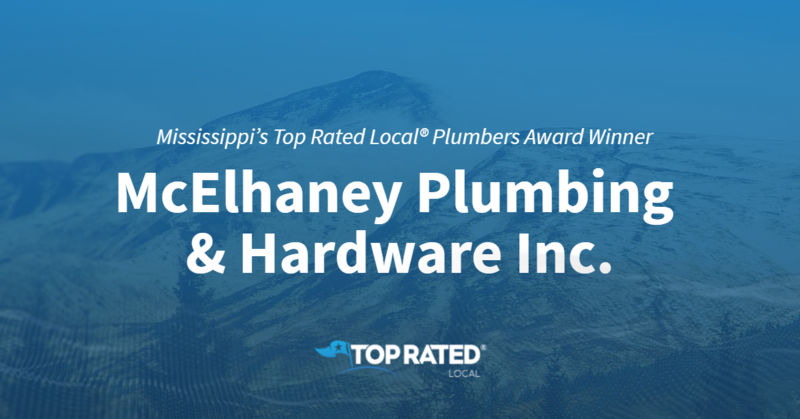 Mississippi’s Top Rated Local® Plumbers Award Winner: McElhaney Plumbing & Hardware Inc.
Top Rated Local® is pleased to announce that McElhaney Plumbing & Hardware Inc. is an award winner for plumbers in 2019. For all of your one-stop plumbing and hardware needs, stop by McElhaney Plumbing & Hardware Inc. in Hattiesburg today! McElhaney Plumbing & Hardware Inc. has received many overwhelmingly positive reviews with an average rating of 5.00 stars, earning them an impressive Rating Score™ of 86.00 and a 2019 Top Rated Local award for ranking as one of the top 10 plumbers in Mississippi! “[I] walked in this place the other day looking for plumbing supplies for a sink. As soon as I walked in, the guy at the desk immediately helped me. He offered great advice and expertise. No one would even look my way at the big box stores. [I am] definitely going back for any and all my future plumbing needs.” – T.C. It is because of excellent reviews like this that McElhaney Plumbing & Hardware Inc. is now able to call themselves a Top Rated Local award winner! We were excited to learn all about how McElhaney Plumbing & Hardware Inc. has been able to build such an impressive reputation, so we sat down with the Secretary Treasurer, Lynda Balch. The first thing we wanted to know was what it is that makes McElhaney Plumbing & Hardware Inc. stand apart from their local competitors. Lynda told us that their shop has always been known as the first place to stop for plumbing and hardware needs. Because they offer things that other companies don’t always carry, they have faithful customers who continue to come back. Lynda shared with us that they are a group of do-it-yourself plumbers with experienced staff who have been with the company for many years. 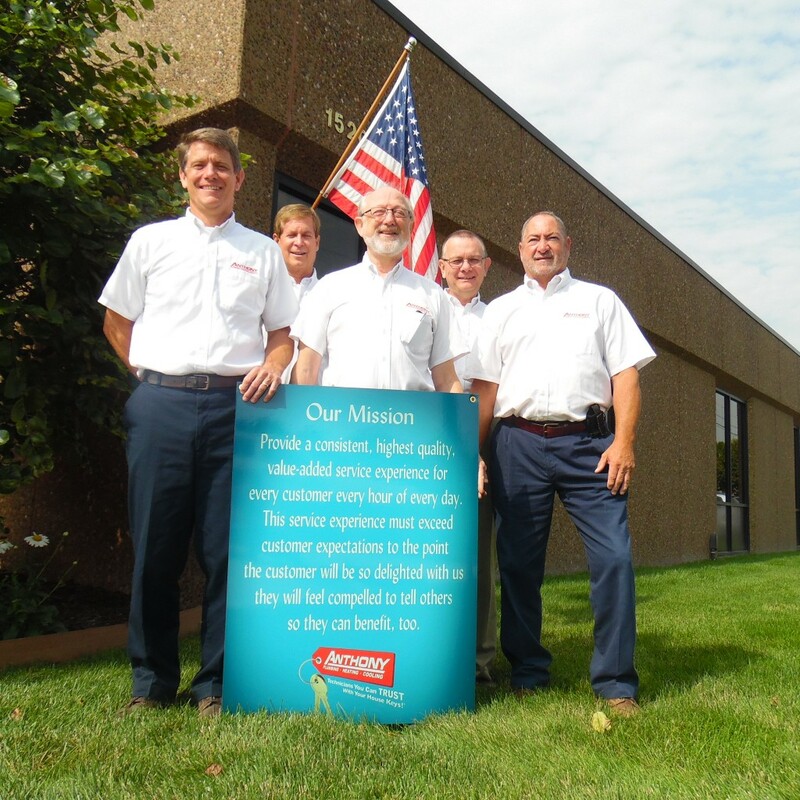 This level of experience and expertise helps to make McElhaney Plumbing & Hardware Inc. stand out from the crowd. McElhaney Plumbing & Hardware Inc. has been family-owned and -operated since 1926. With positive reviews like the ones they have, it is no wonder they have built such a pristine reputation for themselves. We asked Lynda about how they have marketed their business through the years. She shared with us that while they have utilized television ads, they have kept all of their advertising local. They have also utilized social media platforms to help to share their image and keep customers up-to-date with their business. Congratulations to McElhaney Plumbing & Hardware Inc. for being a 2019 Top Rated Local award winner, and special thanks to Lynda for taking the time to speak with us! 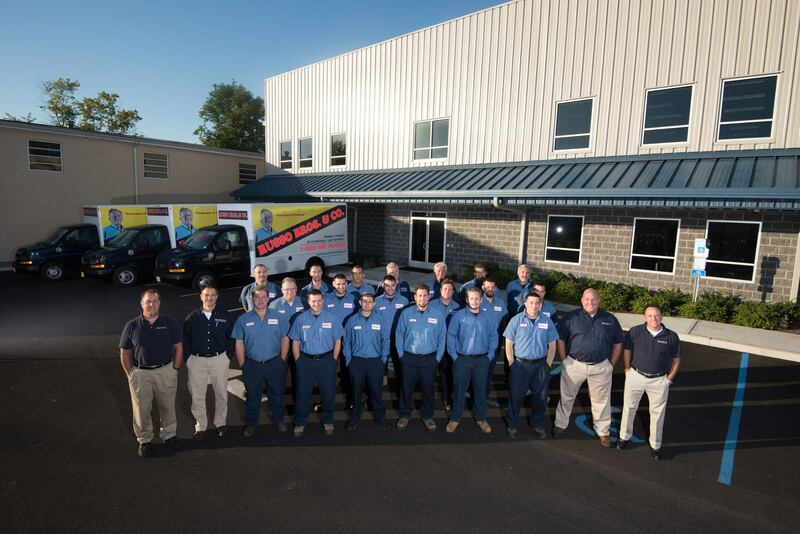 Top Rated Local® is pleased to announce that Shelby Mechanical, LLC is a 2019 award winner for plumbers in Michigan! Shelby Mechanical, LLC has received hundreds of reviews on four verified sites with an average rating of 4.68 stars, earning them an incredible Rating Score™ of 94.82 and a 2019 Top Rated Local award for ranking among the top 10 plumbers in all of Michigan! “I had a great, professional, and courteous experience. Justin did a great job and explained everything prior to starting the job. I couldn’t be more happy with Shelby Mechanical. I would highly recommend them.” -Paula D.
We wanted to learn a little more about this award-winning business and its impressive online reputation, so we took a few minutes to talk with Ron Paul Alexander, the owner at Shelby Mechanical, LLC. Outside of building a powerful online reputation, Shelby Mechanical, LLC has gotten their name out there through local magazines and newspapers. Congratulations to the team at Shelby Mechanical, LLC for being a 2019 Top Rated Local award winner, and thank you so much, Ron, for taking the time to speak with us! Visit their website here! is a 2019 award winner for plumbers in Kansas! 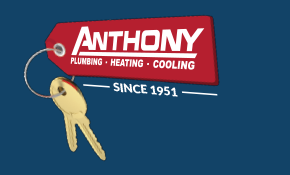 For technicians you can trust with your house keys in Kansas City, we recommend Anthony’s Plumbing, Heating, and Cooling. Anthony Plumbing, Heating & Cooling has received thousands of reviews on five verified sites with an average rating of 4.84 stars, earning them an incredible Rating Score™ of 98.40 and a 2019 Top Rated Local award for ranking among the top 10 plumbers in all of Kansas! “I was very impressed with the professionalism of this company, from the receptionist to the tech (Jeff) who came out. [This is] definitely a well-organized and developed company with thoroughly trained technicians. And although they aren’t located in my city, they were able to come out the same day when local companies couldn’t. I would use this company again, and [I] highly recommend them.” -Kora S.
We wanted to learn a little more about this award-winning business and its impressive online reputation, so we took a few minutes to talk with Kim Westhoff, the Director of Marketing at Anthony Plumbing, Heating & Cooling. Congratulations to the team at Anthony Plumbing, Heating & Cooling for being a 2019 Top Rated Local award winner, and thank you so much, Kim, for taking the time to speak with us! Visit their website here! Top Rated Local® is pleased to announce that Wright Wray Plumbing, LLC is a 2019 award winner for plumbers in South Carolina! Turn to Wright Wray Plumbing, LLC for professional plumbing services you can rely on. Wright Wray Plumbing has received dozens of reviews on three verified sites with an average rating of 4.83 stars, earning them an outstanding Rating Score™ of 94.31 and a 2019 Top Rated Local award for ranking among the top 10 plumbers in all of South Carolina! 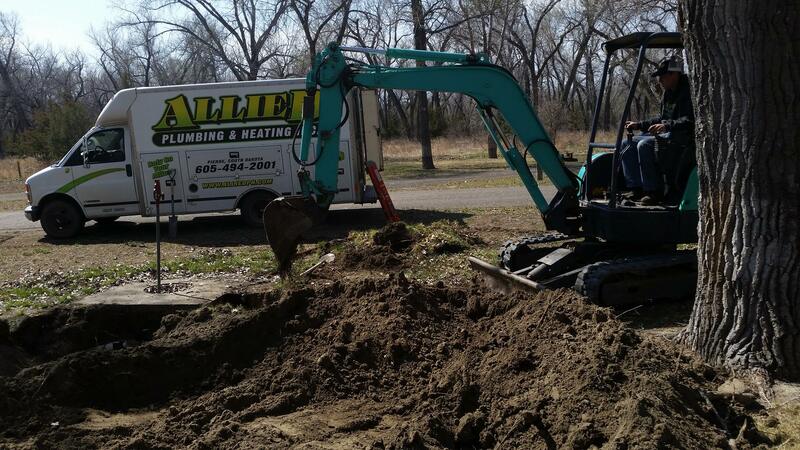 “If you need plumbing work done, this is the best place to call for all your plumbing needs. [Their rates are] cheaper than any other place around, and [they have] more experience in the plumbing field. Trust me, it shows in their work.” – Joseph C.
We wanted to learn a little more about this award-winning business and its stellar online reputation, so we took a few minutes to talk with Melissa Wright, Office Manager at Wright Wray Plumbing. Congratulations to the team at Wright Wray Plumbing, LLC for being a 2019 Top Rated Local award winner, and thank you so much, Melissa, for taking the time to speak with us! For all of your plumbing needs, we highly recommend working with Wright Wray Plumbing. Visit their website today! New Jersey’s Top Rated Local® Plumbers Award Winner: Russo Bros. and Co.
Top Rated Local® is pleased to announce that Russo Bros. and Co. is a 2019 award winner for plumbers in New Jersey! 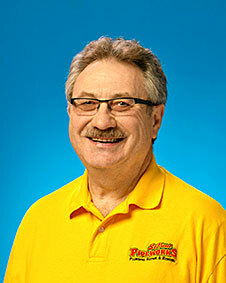 Do you need a plumber you can trust to get the job done right the first time in East Hanover? If so, look no further than Russo Bros. and Co.
Russo Bros. and Co. has received hundreds of reviews with an average rating of 4.70 stars, earning them a fantastic Rating Score™ of 89.00 and a 2019 Top Rated Local award for ranking among the top 10 plumbers in all of New Jersey! “I was extremely grateful for the service Russo Bros. provided. Our hot water heater had to be replaced and the technician walked us through every step and price comparison. Both technicians (Harun and Jeremy) were courteous, helpful, efficient and did their best to help me be on time for another appointment. I highly recommend them and would absolutely use [their services] again.” – Amanda Q. We wanted to learn a little more about Russo Bros. and Co. and its stand-out online reputation, so we took a few minutes to talk with the Marketing Director, Nick Jusino. The first thing we wanted to know was what sets Russo Bros. and Co. apart from the many other plumbers in New Jersey. Nick points to their 65 years in business and told us that they develop long-standing relationships with their clients. Nick also shared that, in addition to plumbing services, the team at Russo Bros. and Co. also helps with air conditioning maintenance. Nick credits the strong online reputation that Russo Bros. and Co. has built to their commitment to asking their clients for reviews. Outside of building a powerful online reputation, Russo Bros. and Co. has spread the word about who they are and what they do through billboards, direct mail, their website and word of mouth. Congratulations to the team at Russo Bros. and Co. for being a 2019 Top Rated Local award winner, and thank you so much, Nick, for taking the time to speak with us! For all of your plumbing needs in East Hanover, we highly recommend working with Russo Bros. and Co. Visit their website today! 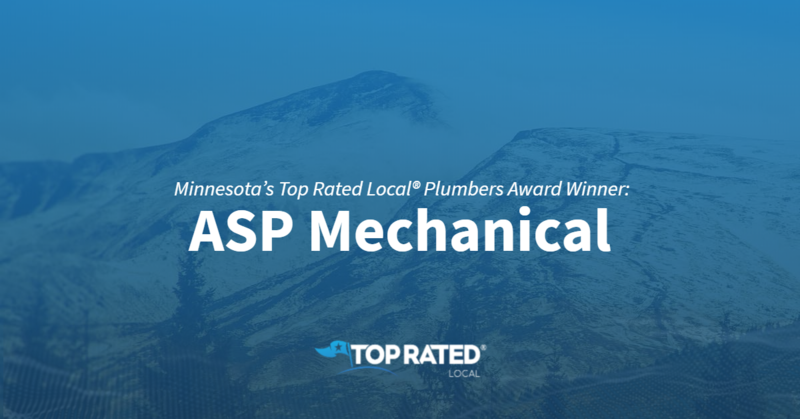 Top Rated Local® is pleased to announce that ASP Mechanical is a 2019 award winner for plumbers in Minnesota! For all of you plumbing and heating services, we recommend visiting ASP Mechanical in Duluth, Minnesota. ASP Mechanical has received hundreds of reviews on four verified sites with an average rating of 4.90 stars, earning them an incredible Rating Score™ of 97.04 and a 2019 Top Rated Local award for ranking among the top 10 plumbers in all of Minnesota! We wanted to learn a little more about this award-winning business and its impressive online reputation, so we took a few minutes to talk with Caleb Wistad, the General Manager at ASP Mechanical. Outside of building a powerful online reputation, ASP Mechanical has gotten their name out there by investing in the addition of a marketing intern. Congratulations to the team at ASP Mechanical for being a 2019 Top Rated Local award winner, and thank you so much, Caleb, for taking the time to speak with us! Visit their website here! Top Rated Local® is pleased to announce that St. Paul Pipeworks is two-time 2019 award winner in Minnesota! 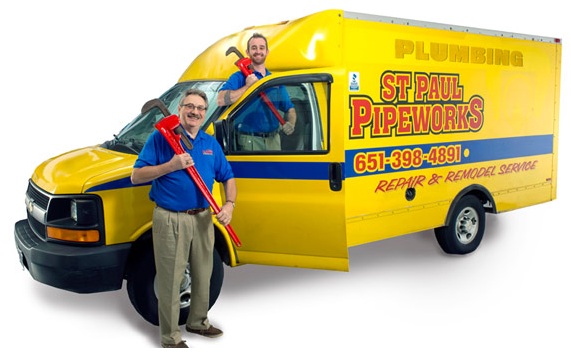 For all of your plumbing needs in St. Paul, turn to the experts at St. Paul Pipeworks. St. Paul Pipeworks has received almost 150 reviews on five verified sites with an average rating of 4.83 stars, earning them a spectacular Rating Score™ of 98.33 and two 2019 Top Rated Local awards — one for ranking among the top 100 businesses in Minnesota and one for ranking among the top 10 plumbers in Minnesota! “I had a complicated hot water need for my business, which is inside a residential building. 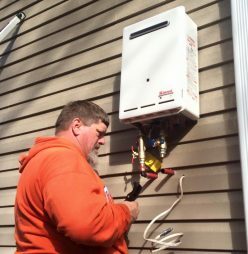 Charlie and his team came in with confidence, listened to my needs in detail and went to great lengths to design a water heater system in my facility that will exceed my excessive needs while staying cost sensitive. They were incredibly professional, communicated well, were there when they said they would be, never left a mess and, most importantly, completed the work in a professional manner. The system was complicated and was impeccably done, despite being in a crawl space, hidden from view. I highly recommend St Paul Pipeworks.” – Tim J.
Charlie Avoles, owner and Lead Master Plumber at St. Paul Pipeworks, generously gave us a few minutes of his time to tell us about his business and its impressive online reputation. Congratulations to the team at St. Paul Pipeworks for being a 2019 Top Rated Local award winner, and thank you so much, Charlie, for taking the time to speak with us! For all of your plumbing needs in St. Paul, we highly recommend working with Charlie and his team at St. Paul Pipeworks. Visit their website today!